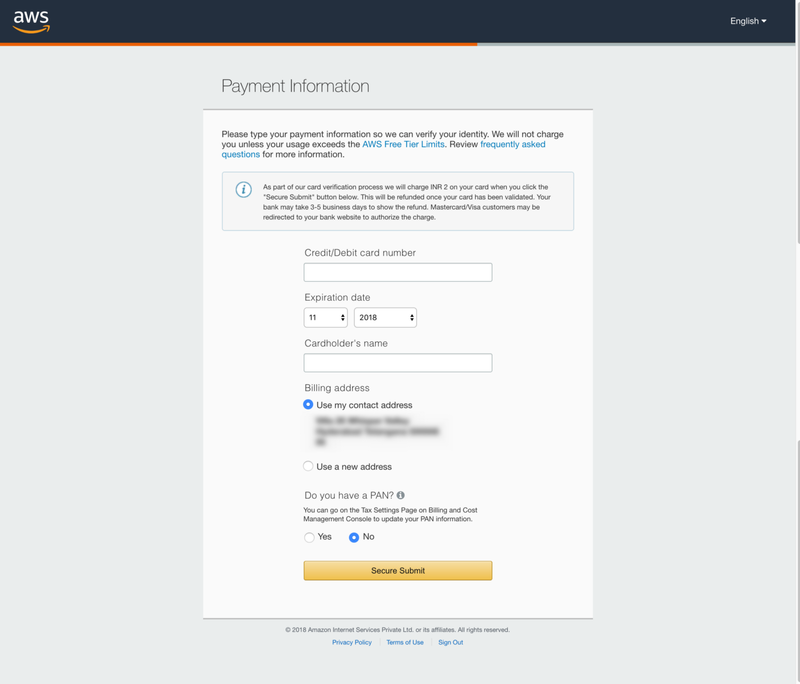 Note: AWS will ask you for your credit/debit card when creating an account. However you will not be billed until you exceed the (generous) free tier. 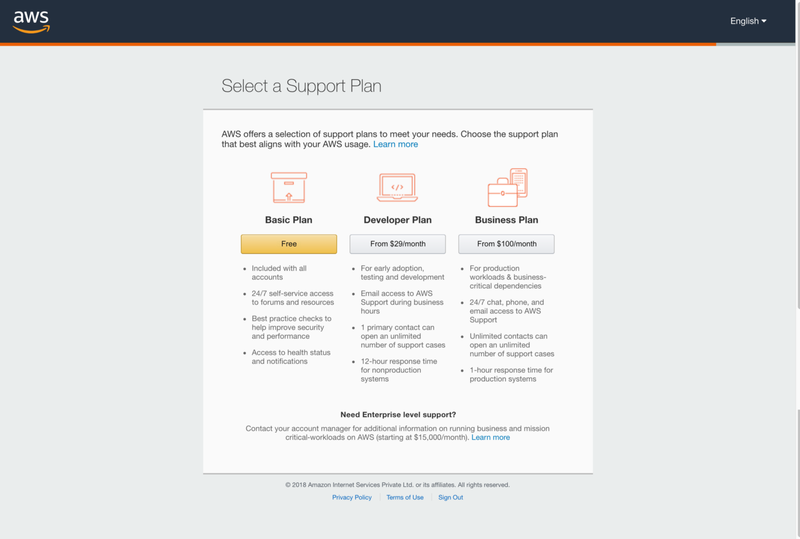 Go to https://aws.amazon.com/resources/create-account/ and click ‘Sign Up Now’. 2. Fill in below details and click ‘Continue’. 3. More details … :). Make sure to give your correct mobile number. This will be used to give you a verification call. 4. Enter your credit/debit card details. To verify your card AWS will bill you a small token amount which will be refunded. Other than this you will not be billed anything unless you exceed the (generous) free tier. 5. 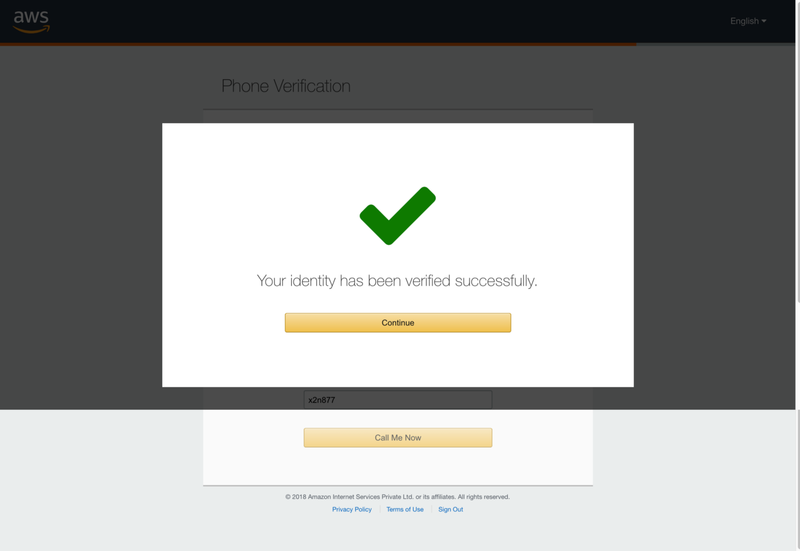 Phone Verification. Enter your country code, mobile number, captcha, and click ‘Call Me Now’. A popup with a number code will be displayed. 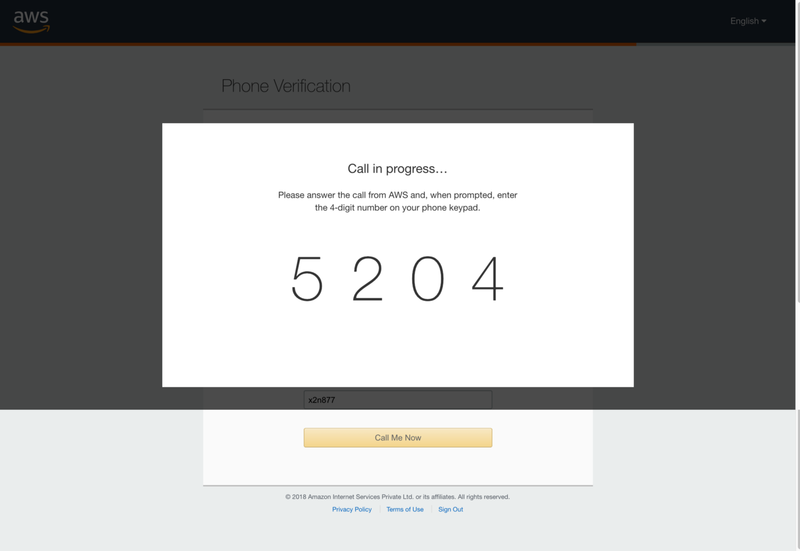 You will receive a call from AWS and you will be prompted to enter this code. Success. Your identity is verified. 6. You may be asked to select a ‘Support Plan’. Choose ‘Free’. 7. CONGRATS. You have created your AWS account. 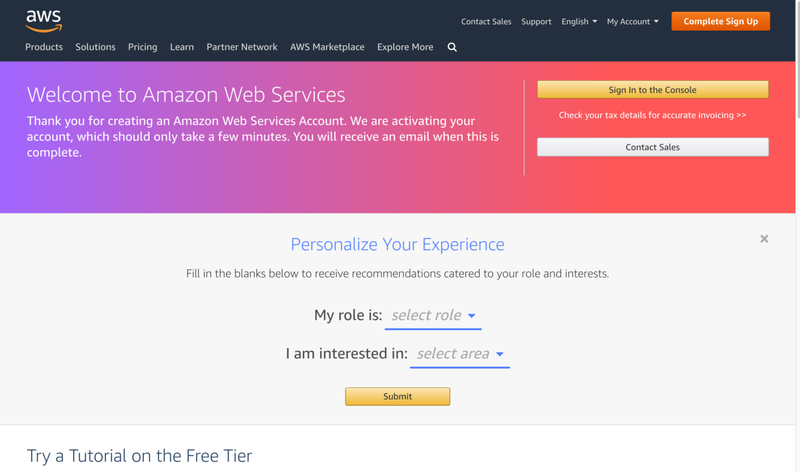 Check out the generous ‘Free Tier Details’ here: https://aws.amazon.com/free/.